Drivers, start your engines! 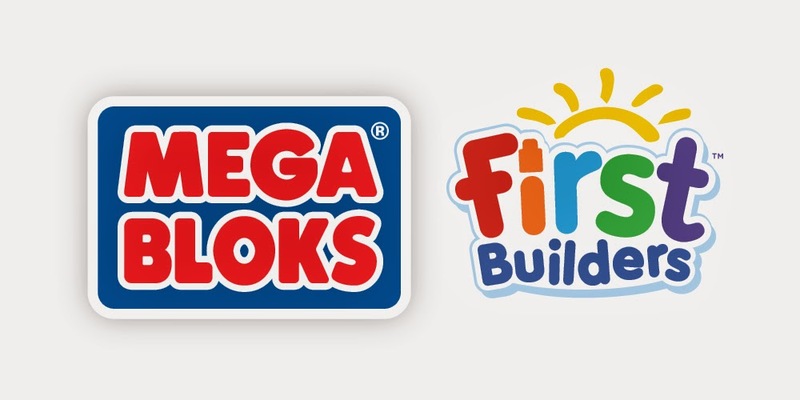 Gear up and get ready for some high-speed adventures with the Fast Tracks Racing Team by Mega Bloks First Builders. 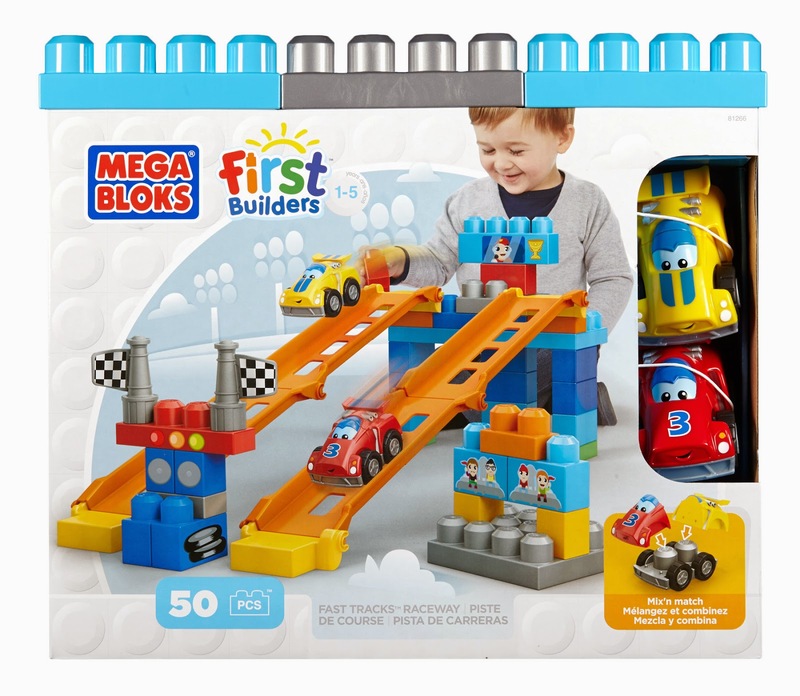 Your little race car driver can build with the tracks and blocks and mix and match the race cars for endless play. Use the colorful stickers to create even more imaginary fun. Watch as they screech and vroom through the raceways, and the fans in the stands cheer them on! Who will be in the lead, as the checkered flag is waved? Ideal for ages 1 to 5. 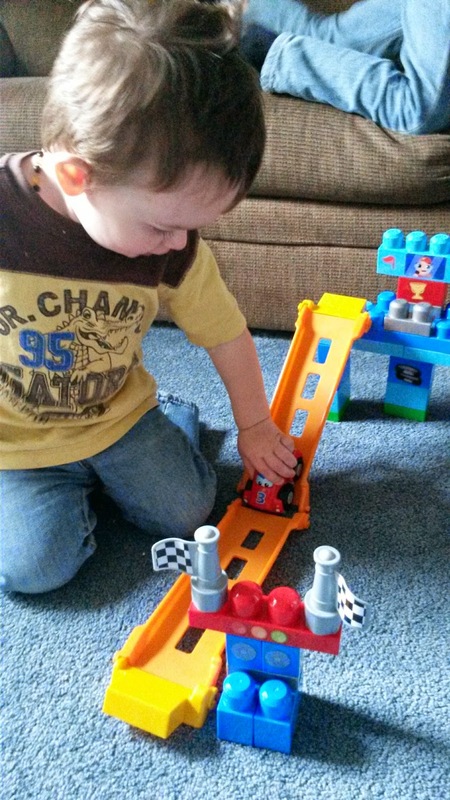 • Two mix-and-match buildable cars for lots of raceway fun! • Fun sticker sheet to customize your little racer’s blocks and cars! 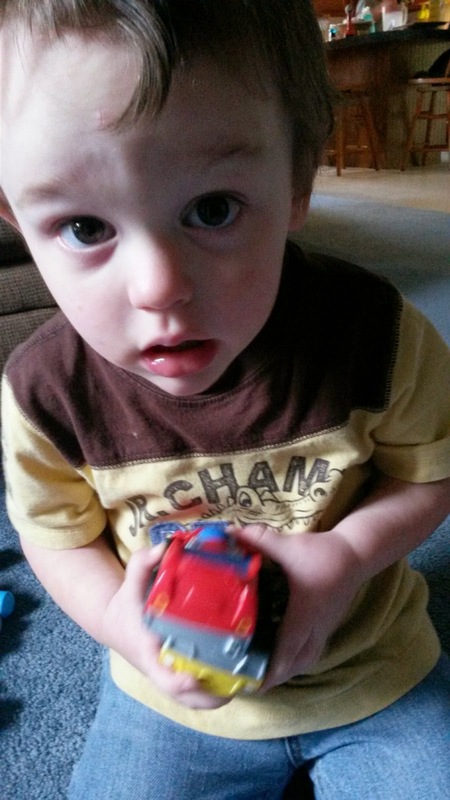 Did I mention that Luke, who is 2 years old, LOVED the cars? Unfortunately, I really don't think this toy should be for 1-5 year olds. Luke got very frustrated with it breaking apart all the time, and even Annabelle (who is nearly 4) had a very hard time with it too. 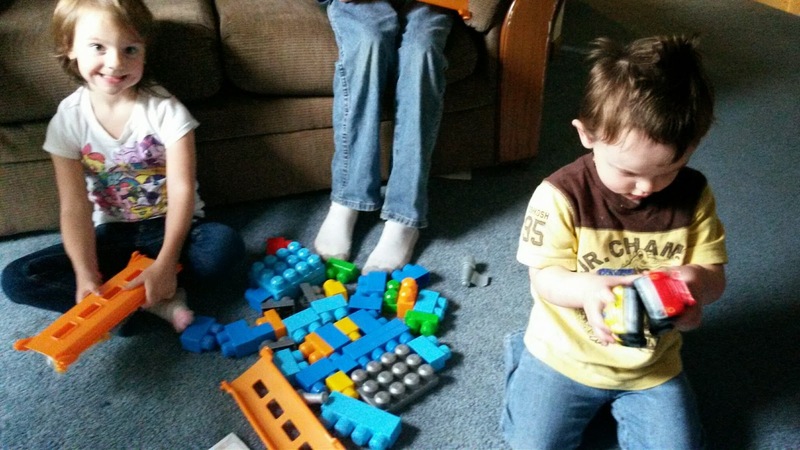 Our 5 year old, Nolyn, loved the toy, however, as he was more able to take the time to fix it when it broke. Overall, the kids have enjoyed it, but it definitely does not still look like it did in these pictures. We've had older brothers helping the little ones try to keep it in tip "track" shape. Want to win a track set for your favorite little one? Enter below! I like the Lil Harvest Set. I like the 1-2-3 Learning Train! Thanks for the opportunity to win!! 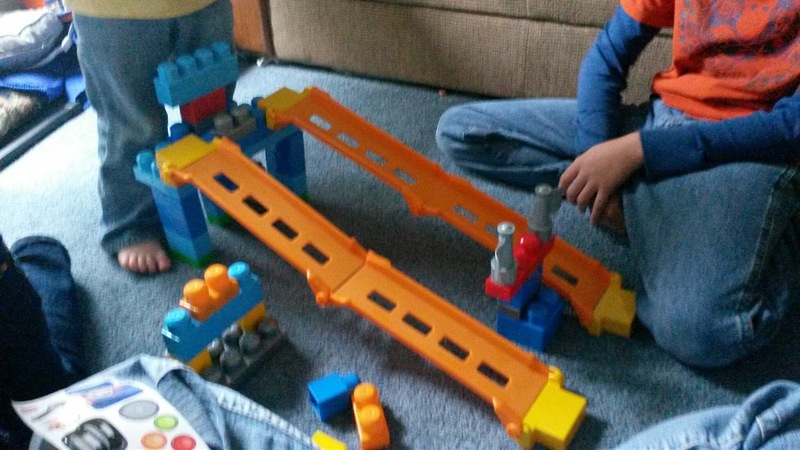 My youngest daughter & son would love to play with this set!! I learned that you can mix and match the way the track is set up. I love all their products and how they are good for young ages!! I checked out their other sets and I also really like the Rescue Center Heroes Thomas & Friends set. I like the fact that it comes with the stickers so kids can personalize it.